- Meticulously hand woven in finest quality New Zealand wool with a beautiful design pattern. - The design is Bidjar and has originated from a province in Persia called Bidjar. 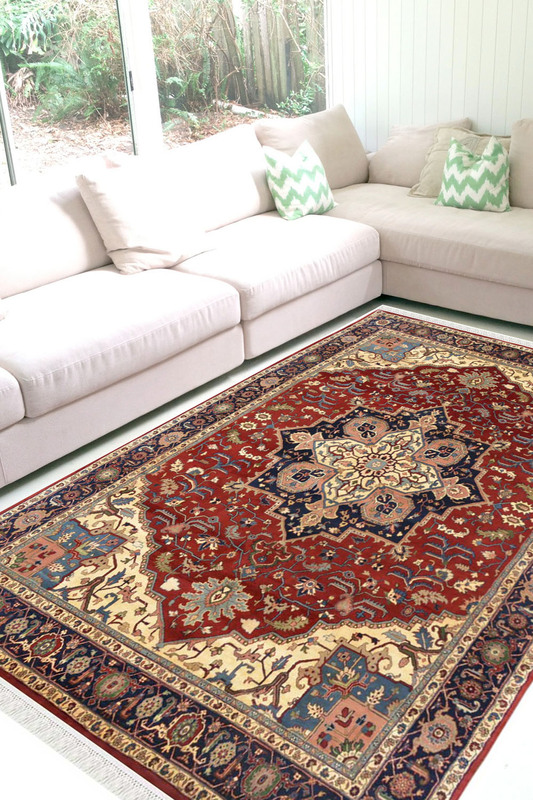 - This rug has a diamond shaped medallion with a floral pattern that can be seen throughout the rug. - The main colors are dark blue, cream ivory and maroon. The border has tiny floral motifs woven in unison.